Are you having trouble choosing a name for your baby? Do your parents want to follow a family tradition? Choosing a name for your newborn can be a challenge. Family, in-laws, friends and countless others all want to be involved in giving your new baby a perfect name. 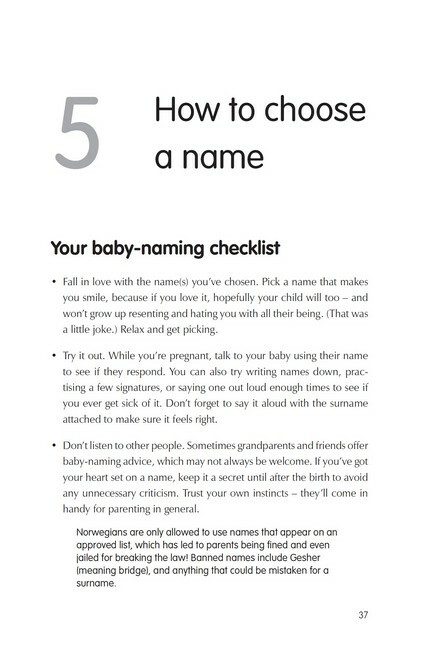 Naming your baby is one of the first things you give your newborn, so its right to think long and hard about the name that you and your partner will give your little one. If you're struggling for inspiration Baby Names 2019 provides you with over 8,000 names, separated by boys and girls names and all listed with their meanings. So whether your baby is a Joel or Jamel, Helena or Heidi, you'll be able to find the perfect name in Baby Names 2019. As well as thousands of names to choose from Baby Names 2019 includes the year's most popular names, celebrity choices and trends from 2018, plus great tips and advice on choosing a name. Australia’s only annual baby names guide Over 8,000 baby names including background, origins and meanings. Updated with Australia’s Top 10 most popular boys and girl’s names. Features the background, origins and meanings of each of the 8000+ names. Names listed by ethnic, cultural & country background. 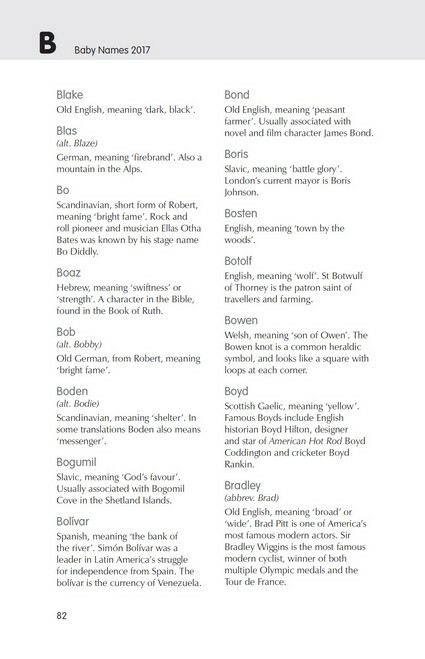 Lists recent Australian celebrity baby names. Over 400,000 babies born in Australia last year. Ella Joynes is an experienced author who regularly writes for the parenting market. She is commonly interviewed in the press as a baby names expert.